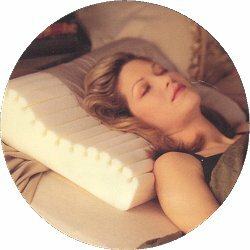 Free Visco Memory Foam Pillows with your Comfortaire mattress purchase! Call phone for details. "They call it a box top, I call it a miracle..."
"America's finest adjustable air bed..."
"The medical foam makes this the perfect choice if you suffer from arthritis." Combine GeoMatt® foam, used by many hosptials, with the performance of air and you get ultimate support - ultimate sleep. "Our #1 seller! 8" air chambers and Belgian Damask cover make this a premium mattress..."
"Our #2 seller! Cerenity classic offers the option of 2 different air control systems." "Our lowest priced Comfortaire mattress for the cost-conscious." "Call me for details on getting these premium pillows FREE!"